The CLA will go down in history as the first compact Mercedes models in the United States and it’s safe to say the previous generation has been an immense success. The regular version along with the CLA Shooting Brake forbidden fruit racked up approximately 750,000 sales worldwide and allowed Mercedes to lure in younger buyers who then decided to stick with the three-pointed star for their next car purchase. 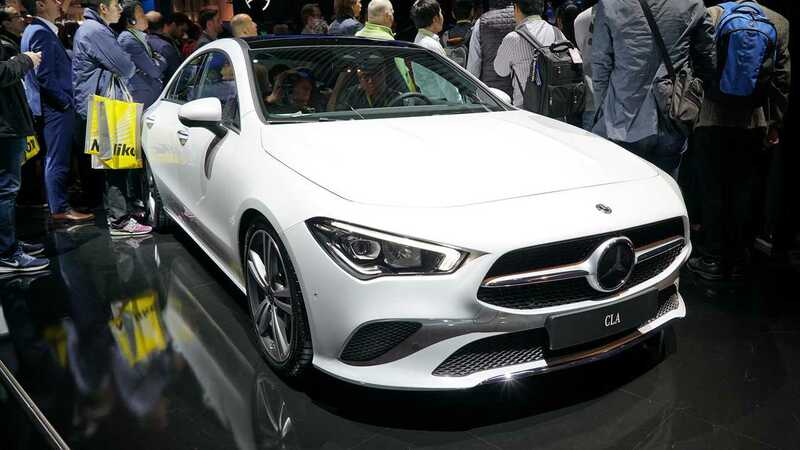 For the 2020 model year, the CLA is being redesigned and these live shots from the Consumer Electronics Show in Las Vegas provide us with a better look at the car’s sharp exterior design and tech-laden cabin. Serving as a more stylish alternative to the A-Class Sedan, the new CLA is being featured in the adjacent videos in the Edition 1 flavor with plenty of standard kit and cosmetic tweaks, but it’s worth noting the limited-run model is not currently planned for the U.S. market. Slightly longer, narrower, and lower than the model it replaces, the 2020 CLA is more spacious on the inside by offering additional elbow room and shoulder room for both front and rear passengers. Rear legroom is also slightly up, but front legroom has decreased a bit while the trunk is slightly smaller than before. All the numbers are in the press release attached at the end. Mercedes will have the new CLA on sale in the United States towards the end of the year, with pricing to be announced closer to the model’s launch. A recent batch of spy images has shown hotter versions are en route, with Mercedes-AMG to launch 35 and 45 versions later in the model’s life cycle. With the U.S. wagon demand shrinking compared to 2017, we wouldn’t get our hopes up too high about the Shooting Brake coming to America.